1. Routine makes you wildly uncomfortable. Yes, “cabin fever” is most definitely a thing, but you rarely have the opportunity to experience it. Even when you can’t get away, you find novelty wherever you are — you couldn’t extinguish that trail-blazing flame if you tried. A new hike. A different dish from that Salvadoran hole-in-the-wall. Spontaneous conversations with strangers. These small shakeups keep you going between bigger leaps. 2. You got a guidebook for Christmas. It makes a great paperweight. Guidebooks have useful information to offer a certain type of traveler, sure, but it’s nothing you can’t google on your own a day or two before takeoff. Everything else can be found out by walking around, asking locals, and following your intuition. 3. You learn the local language wherever you go. 4. If you haven’t seen it, it might not really exist. What if the maps are lying to you? What if Halong Bay is just really good Photoshop? What if those blue domes on Santorini only look that blue in complete sunlight? You don’t know. You can’t be sure — unless you see them for yourself. 5. You get absurdly excited by new things on any menu. 6. There’s literally nowhere you wouldn’t go. You can’t spin a globe without landing on a place that makes you want to pack your bags, even if it’s pure wilderness or in the middle of the ocean. “Can I mountain bike down those buttes?” “What kind of boat could get me that deep into the Pacific?” Given enough time and money, you’d go anywhere. 7. Crowds aren’t — and have never been — a selling point. Hence the uselessness of that Christmas guidebook. 8. Solo travel doesn’t scare you — it empowers you. Few things feel as rewarding as imagining, planning, and executing a trip entirely on your own. Not to mention, you get to do every single thing you want to do the entire time. Pineapple pizza with black olives, please, because no one’s around to stop you. 9. You know the everyday is just as exciting as the extraordinary. Interesting things can be far away…or just around the corner. After all, your backyard is an exotic playground to most of the rest of the world. Approaching life with this mindset is all you need to find adventure. 10. People never seem to understand that you always have travel plans. Photo courtesy of Toyota. Options shown. Cargo and load capacity limited by weight and distribution. “Wait…you’re…going where, again? What for?” And you’ve developed your own special stock answer for these moments. 11. Being broke doesn’t stop you. It’s not always about catching a plane across the ocean. It’s not about five-star hotels. It’s not about Michelin-starred meals and $14 cocktails. 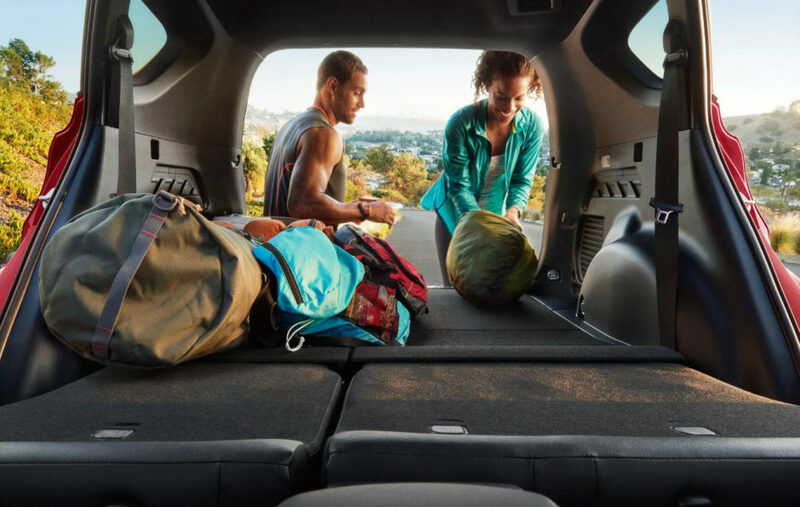 It’s about packing up your 2017 RAV4, queuing up that playlist, and just hitting the road. 12. “But aren’t you scared to go there?” is a sentence you only hear and never say. If you’re allowed in, game on. Favorite travel outfit? Check. Portable power situation? Check? Gear for rain, snow, or shine? Check, check, check. Air in the tires and gas in the tank of your 2017 RAV4? Check. Where are we going? Just kidding. Doesn’t matter. Just let us know when. 14. You can sleep literally anywhere — and without complaint. You can travel with people who need a warm bed and 400-thread-count sheets, but you’re more than willing (and you can and have) to sleep at the airport, at the train station, on a metal bunk bed in a rowdy hostel — the works. It’s all part of the adventure. Photo courtesy of Toyota. Options shown. Because why tie yourself down when your next destination is just a tank of gas, a cooler stocked to the brim, and a trusted co-pilot away — rain, snow, or shine. 16. …and that the smaller the road, the more memorable the trip. Interstates are for the masses. When the shoulders disappear and the asphalt turns to dirt, you know you’re on the right track. 17. Home is a pit stop, a place to refuel. Everyone needs roots, but your personal map is more like a web than a tree. It shoots out on all sides, forming connections everywhere you go, all across the world. You know it’s the farthest fringes that make the web intricate and interesting — and you wouldn’t be the same without them. 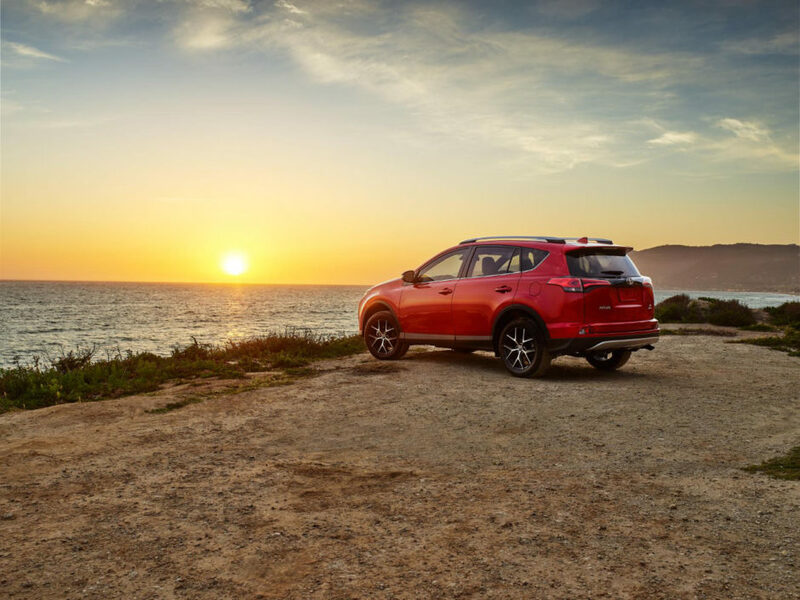 This post is proudly produced in partnership with Toyota and the 2017 RAV4.